See that cupboard over there? You know the one. It’s the big cupboard you stick all of your large appliances in to keep your counter clean. Right now, your crock pot is lonely and collecting dust in that cupboard. Stop abusing your crock pot. Show her some love this season. Wipe off that dust, plug her in and get cooking. Quit being lazy. I am like the laziest person in the wold and even I could do this … if I wanted to apply myself for once. This is what we are talking about. 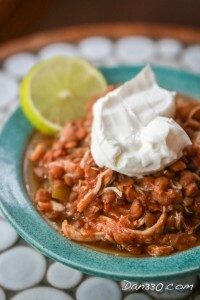 Some crock pot recipe love. Crock pot recipes are the B.E.S.T! There is nothing better than coming home from a day at work or running errands with your kids to have dinner ready! Cooking with a crock pot is almost cheating. Dan330.com is a site dedicated to making, finding, sharing and organizing great blog content that is actually useful for people. We don’t promote big corporate ideas, and we don’t have user generated content. You can read our mission statement here about how we personally make, try, or hand pick excellent content for our site. This page is dedicated to finding you the best crock pot recipes. We also have two other pages for similar recipes that you may want to check out too: Our Healthy Crock Pot Recipes page and our Chicken Crock Pot Recipes. Why Cook Crock pot Recipes? In my opinion, the crock pot is one of the most under-utilized kitchen appliances. Almost everybody has one, but it usually sits in a cupboard and collects dust. It’s time to stop abusing our crock pots like this. So let’s all do it together. Share this page with your friends and let’s get cooking! This Crock Pot page is part part of our larger food category and if you like this page, you may also like these: S’mores, Tailgating, Manly Food, Healthy Crock Pots and Chicken Crock Pot Recipes, Blueberry Recipes, Comfort Food, Drinks, Fall Recipes, Fresh From The Garden, and more. Crock pot chicken lentil soup. the fridge and put a chicken breast in the crock pot and turn it on? See! It’s literally as easy as a rice cooker. There is literally less to do than reheating your leftovers in a microwave. The meals are very versatile. You can choose to be healthy, cook soup, make a dip for tailgating, or even use your crock pot for a dessert. We will show you our favorite recipes below. You are welcome to visit our search results for crock pot recipes, or check out our favorites below. For an easy taco night make this Pulled Beef Roast Taco. 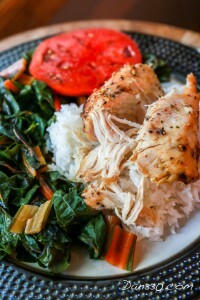 Healthy Tangerine Chicken Breast when you need something tangy and fresh. For a southwestern flair, this Southwestern Corn Chowder might do.